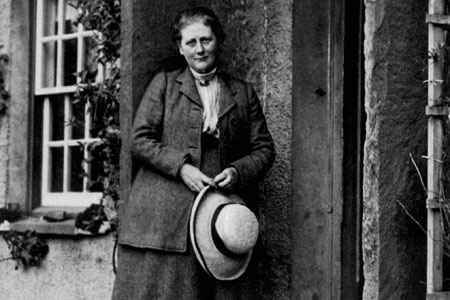 Beatrix Potter is still one of the world's best-selling and best-loved children's authors. She wrote and illustrated 28 books that have been translated into more than 35 languages and sold over 100 million copies. One book is sold every 15 seconds. Born in Kensington, London, she later moved to Hill Top Farm in Cumbria and on her death bequeathed it, along with 13 other farms and over 4000 acres of land, to the National_Trust. 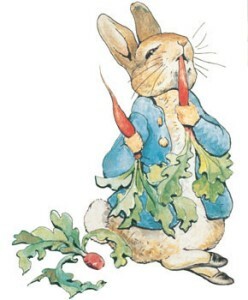 The 'real' Peter Rabbit was a Belgian buck rabbit called Peter Piper that was 'bought at a very tender age, in the Uxbridge Road, Shepherd's Bush, for the exorbitant sum of 4/6'. He was to prove a sound investment. Peter lent his first name to one of the world's best-loved fictional characters and earned Beatrix Potter enduring international acclaim. A story about a group of mice who help a tailor by sewing clothes for him at night has been a children's favourite for generations since its publication. It is based on the true story of a Gloucester tailor, John Pritchard, who came to work one morning to discover a waistcoat - almost finished - with a note saying "no more twist" pinned to it. In May 1894 when Beatrix Potter was staying with her cousin, Caroline Hutton in Harescombe Grange, Gloucestershire. Caroline told Beatrix the curious tale of a local tailor. Beatrix requested that they visit Gloucester the next day.